One of my favorite summertime drinks is a half black tea, half lemonade mix (often called a half and half or an Arnold Palmer). The only way I can think of improving on this mixture is to add a bit of gin and possibly some bubbles. Awhile back Finest Kind sent me a few samples of their tea mixers and the 1960 which is black tea, lemon juice, and cane sugar caught my eye. This is a product I will keep in my cupboard for summertime beach visits and picnics in the park. 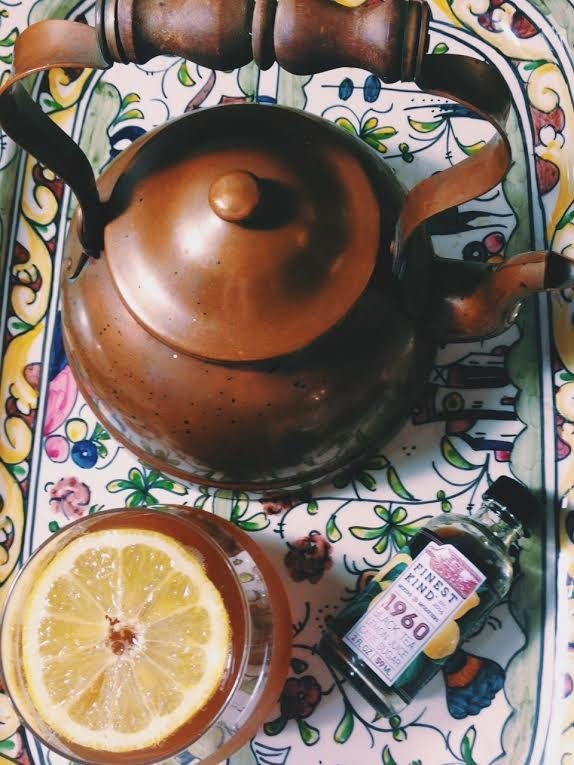 Let's not forget year round tea cocktails too. To learn more about these tea mixers you can visit the Finest Kind site here.